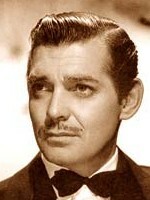 Born on 1 February 1901, in Cadiz, Ohio, Clark Gable became one of the most famous and beloved movie stars of all time. The Gable Foundation has acquired the site of Mr. Gable�s birth and has reconstructed the home where he and his parents resided. 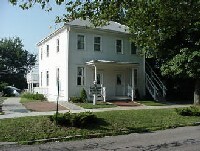 The building is operated as a museum and gift shop. The exhibit includes many items of Gable memorabilia, including items donated by his fans. The collection has grown with the donation of a large collection of items belonging to Gable's wife, actress Carole Lombard. The foundation holds several events throughout the year, but the highlight is the annual birthday celebration held on the Friday and Saturday closest to February 1. See the Foundation Website for additional details.